One cannot read it in full on-line (or not for free, anyway) but December's issue of History Today has an article by me on Yelena Molokhovets, the Russian Mrs Beeton. This may not seem to be an entirely suitable theme for the Conservative History Journal but from time to time we do look beyond such themes. The purges and show trials of post-Second World War Eastern Europe affected those countries and, consequently, the whole Continent and it history profoundly. The last of those trials took place sixty years ago this week. On the second blog there is a long article on the subject. I can't say enjoy it but I do hope people will read it and find it interesting. I welcome any reasonable comment, question and criticism. 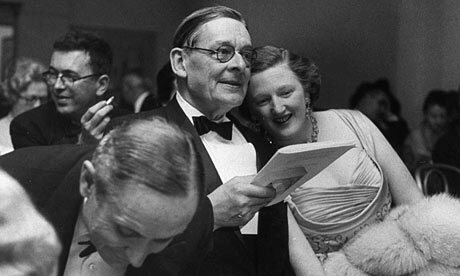 It is appropriate, Tory Historian ventures to observe, that this piece should be written in the Reading of Room of that wonderful institution, the London Library, whose highly active President T. S.Eliot and to whom his widow was remarkably generous. The story of the salvation she provided to the tormented and guilt-ridden poet, whose first marriage had not only broken down but had destroyed both husband and wife, has been told often enough as has Valerie's care of her husband and the nurturing of his legacy after his death that included such actions as the setting up of the T. S. Eliot prize for poetry. It is worth reading the detailed and admiring obituary in the Daily Telegraph, an equally admiring piece by David Morley and Ion Trewin's obituary in the Guardian. An interesting posting by a friend of this blog, Stephen MacLean on 1776 and the ideas of freedom expressed by, among others, Adam Smith and the writers of the Declaration of Independence, also on how these ideas have been undermined by succeeding government on both sides of the Pond. Just a hint: the Founding Fathers did not intend the President to be quite such an important and politically overwhelming figure. Whether he is actually powerful is a moot point. Anyone who asks what sort of narrative can British Muslims have should be told about the tens of thousands of them who fought for Britain in two world wars and at other times. There are other narratives as well, but this is the one I am concerned with in particular today as I was sent this link. The Princess Royal has unveiled a sculpture of Noor Inayat Khan, a WWII agent dubbed the "Spy Princess" by her biographer Shrabani Basu, in London's Gordon Square Gardens. 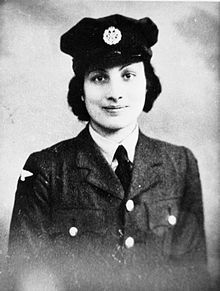 Raised in Britain and France and a descendant of Indian royalty, bilingual Noor Inayat Khan was recruited by the elite Special Operations Executive (SOE) in 1942 to work in Paris as a radio operator. Records from the national archives show she was the first female wireless operator sent to Nazi-occupied France during World War II. After evading capture for three months, the spy was imprisoned, tortured and eventually shot by the German Gestapo at Dachau concentration camp in 1944. Her final word - uttered as the German firing squad raised their weapons - was simple. "Liberté". Liberty was a notion the pacificist-turned-war-heroine held deeply, according to Ms Basu. It has been argued that love of liberty rather than love of Britain inspired her and that this love ran in her family. Noor Inayat Khan's great-great-great-grandfather was Tipu Sultan, an 18th century Muslim ruler of Mysore. He refused to submit to British rule and was killed in battle in 1799. Born on 1 January 1914 in Russia to an Indian father and American mother, the agent's infancy was spent in London. The family moved to France when she was a child and lived in Paris, where she was educated and learnt fluent French. The national archives describe how the sensitive young woman studied both medicine and music. In 1939 the Twenty Jataka Tales, a collection of traditional Indian children's stories she had retold, were published in Le Figaro. When war broke out in 1939, Noor Inayat Khan trained as a nurse with the French Red Cross. She fled the country just before the government surrendered to Germany in November 1940, escaping by boat to England with her mother and sister. Subsequently, she joined the Women's Auxiliary Air Force (WAAF) and was recruited into the SOE. The article implies that there may have been some problems between her and the higher echelons of the service and she may well have gone beyond her orders in her work. One would have to read the book to find out the details. Many people came to Britain and joined the forces because of their love of their own country or just the desire to fight evil. That, too, is part of this country's history as is Noor Inayat Khan's heroic, tragic and inspiring story. This is probably the nearest England comes to having a special historical anniversary and a truly gruesome tale it is, too. 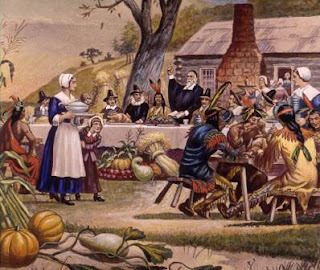 It's quite a treat to see the horror that dawns on faces of Americans or Europeans as one explains to them what it is exactly that we are celebrating. "That guy is a symbol of the fact that the badly tortured Guy Fawkes who then confessed was hung, drawn and quartered before being burned to death. 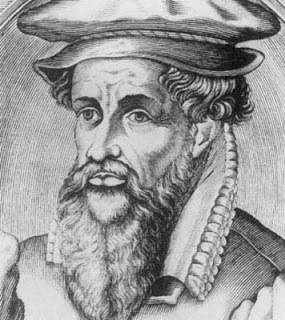 Let me explain what hanging, drawing and quartering means." Pale faces all round. A couple of links that are of interest. 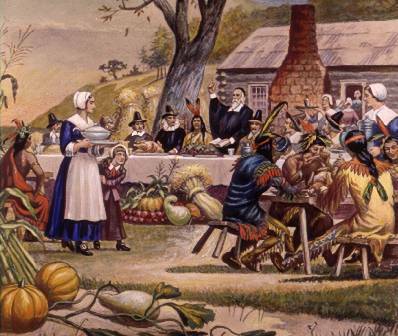 History Today has an article about the various alternatives that Catholics faced in Jacobean England and why this group decided on terrorism. There are many interesting points in that article, which gives a very coherent analysis of the situation and of the options available. It is worth remembering that any group that wanted to dispose of the existing monarch and put a Catholic one in his place had in mind a complete destabilization of the country, something Elizabeth and her advisers understood very well. A glance across the Channel, the war in the Low Countries and the civil war in France, would have shown what that would entail. The article touches on the various legends and theories that have been woven round the Plot. Here is a slightly less well written piece that discusses the possibility that it was all either set up or exaggerated by Robert Cecil, the first Earl of Salisbury. Oh dear. Not only has TH missed some important birthdays this year (that series is to be continued) but also some very important obituaries. Looking up "Miss Read" a.k.a. Dora Jessie Saint, née Shafe, TH found that the estimable lady, author of numerous novels about English life in the Cotswolds, children's books, a couple of volumes of autobiography and even a cookery book, died in April of this year, missing her 99th birthday by just 10 days. The three obituaries that were found easily, in the Guardian, the Telegraph and the New York Times , all said more or less the same. 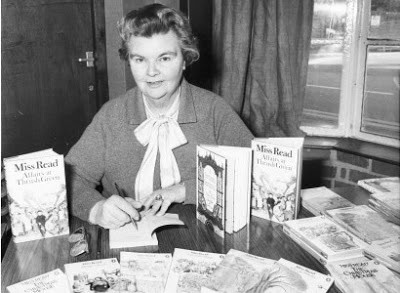 They praised the novels, their charm, their beautiful style and occasional acerbity; all spoke of "Miss Read's" understanding of the countryside and somewhat rosy view of the people who inhabit it. Much the same is to be found in this article that celebrated the 50th anniversary of the first "Miss Read" novel. The two British obituaries mention the fact that she was disregarded and somewhat despised by the literary establishment but the consistent refusal to pay attention or to take her work seriously did not prevent it becoming very popular with a following of readership that most literary authors would give their eye-teeth for. Several of the books were recorded by June Whitfield, another highly popular lady that is not so highly regarded by the artistic establishment but adored by several generations of her public. Gentle and acerbic, well-written and slightly unreal - these are the words of praise and criticism. But how nostalgic and unreal are those stories? There isn't a great deal there about new housing estates and developments and the social structure of the village remains more or less unchanged. But in at least one book A Year at Thrush Green there is a fairly brash but immensely likeable American character who loves the place but finds it hard to understand why the people cannot solve some of the smaller problems they face. His solution is immediate, practical and completely matter of fact, which the inhabitants of Thrush Green accept after being taken aback by his attitude. That is reality for many places and people. What about the accusation that people never seem to talk about big events. Such things as the Cuban crisis or the nuclear threat pass them largely by. Well, really. How much time do people spend talking about "big" things as compared to the small change of life, so ably described by "Miss Read": children, schooling, pets, weather, neighbours and their various affairs, and the weather? Highly realistic, TH would suggest. Incidentally, there is a single mother in at least one of the Thrush Green novels and recurring characters of highly unsatisfactory neighbours. There is, however, one thing missing from those novels or, at least, from the ones TH has come across. Nobody ever seems to watch television or discuss the previous evening's programmes. Now that is completely unrealistic. In case you happen to be in or around London, you might like to attend the talk by Dr Caroline Shenton in the House of Lords about the day Parliament burned down. Here are the details. Tory Historian has now been sent the full obituary of Professor John Frederic Main published by the Institute of Civil Engineering , the hero of the previous posting. He was fully as remarkable as his wife, Elizabeth and her first husband, Frederick Burnaby. JOHN FREDERIC MAIN, son of the late Mr. David Main, Civil Engineer, was born at Greencastle, in the island of Jamaica, on the 7th of July, 1854. Taken as a child to England, he received his early education at the Southern Division Grammar School, at Southsea. In October, 1872, he entered Trinity College, Cambridge, where he won a mathematical scholarship, and in the Tripos of 1876 was ranked Tenth Wrangler. He was President of the Cambridge Union Society in the Easter term of that year. In January, 1872, he had matriculated seventh in honours at the University of London, where he subsequently passed the first and second examinations for the degree of Bachelor of Science, and in June, 1877, obtained that of Doctor of Science, the special subjects taken being Light, Heat and Acoustics treated mathematically, he being then barely twenty-three years of age. In the following October he was appointed Lecturer in Mathematics and Applied Mechanics at University College, Bristol. 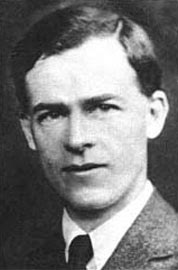 With characteristic energy, he sought additional qualifications for this post by obtaining practical experience during three summer vacations, which he spent respectively in carrying on experimental work at the Cavendish Laboratory, Cambridge, in practical work at Professor Stuart’s workshops, in the same place, and in the drawing office in New York, of Mr Thomas Main, who subsequently became Manager of the works of Messrs. John Roach and Sons, at Chester, Pennsylvania. Dr Main’s connection with University College, Bristol, lasted for four years, and proved one of importance in the history of that Institution. In the first year, his gifts as a lecturer and teacher were so signally demonstrated, that the Council of the College entrusted to him the arduous task of founding and organizing the School of Engineering, which he had induced them to try to establish, and appointed him Professor of Mathematics, Applied Mechanics and Engineering-an office he held for the following three years. Chiefly owing to his exertions, the newly-founded school gathered strength, and soon grew into one of the most promising departments of the College. The system adopted was that suggested some years before by the late Professor Rankine, and subsequently formulated by Dr. Main’s predecessor at Bristol, Mr. W. R. Bonsfield, viz., a combined practical and theoretical training, to consist of the pursuit of theoretical studies at the College during the winter months, and of practical work in engineering shops during the summer months. The course of Mechanical Engineering was arranged to extend over three years, and various manufacturing engineers in the neighbourhood consented to receive students of the College into their workshops and offices as articled pupils. To carry out this plan successfully required no ordinary energy and work; those who owe their training to him could have had little knowledge of the difficulties of the task Dr. Main had undertaken; yet, with all the labour this imposed, he could find time to give several “ Gilchrist ” lectures in Bristol and the surrounding neighbourhood, and for the study of astronomy. But hard work began, after a time, to tell on a constitution which had never been robust, and in 1881 he decided to apply for the post of Assistant Professor of Applied Mechanics at the Normal School of Science (now the Royal College of Science), South Kensington, the duties of which were lighter than those of his Bristol professorship. Unhappily, Dr. Main’s tenure of this post proved but brief. Before he had been a year at South Kensington his health gave way, and although he struggled manfully against a severe pulmonary attack, it made such inroads on his strength as to force him to leave England in the spring of 1883, and to make his home for a time at Davos, in Switzerland. He benefited so much by his stay in the High Alps that there was for a time great hope of his complete recovery, and his post at South Kensington was kept open for more than a year. It was a delusive prospect, however; his health, though greatly improved, was never, during his residence in Switzerland, so far re-established as to allow him to revisit England for longer than a few weeks; and even in Switzerland he was at least once brought very near death by acute illness. It was his fate to remain in that country until late in 1887. In the last months of his residence, he contemplated, and actually made some progress towards, setting up at St Moritz a telescope of considerable power, which Sir Howard Grubb was making for him. He also made some observations and experiments in the Engadine on the viscosity of ice, an account of which was published in the Proceedings of the Royal Society. In October, 1887, his health having to a certain extent improved, Dr Main determined to go to Colorado, in the hope of regaining a still larger measure of strength. After a short stay in England, he settled in Denver at the beginning of the following year. There his expectations seemed more than realized, something of his former vigour, and a considerable amount of his old energy, were restored. Again his life became busy; he gave lectures, edited and wrote for a local newspaper, and frequently travelled great distances. In partnership with an Englishman, Mr. Thomas J Pulling, he entered into business in connection with investments and mortgages of town property in Denver. So successful were they, that towards the end of 1890 they decided to start a limited company under the style of the Denver Banking and Investment Corporation, of which he and Mr. Pulling became managers. More than half of the capital was secured in England, and when, in the spring of 1891, Dr. Main visited this country, he was apparently in excellent health. In the following December, however, symptoms of paralysis began to manifest themselves, and though for a time these appeared to have yielded to treatment, and even to have been entirely subdued, they were revived in a more malignant form by an attack of scarlet fever. After a brief rally, he died on the 10th of May, 1892, at Denver, at the early age of thirty-seven. Of the personal character of Dr. Mann, it is impossible to speak too highly, without using words which would sound like exaggeration. Possessed of intellectual powers of a high order -- a fact which was strikingly supported by his personal appearance -- he at the same time had only a frail constitution, and hence never attained that position in the world which his friends anticipated for him, and which in their opinion he was so well fitted to occupy. Dr. Main was elected an Associate of the Institution on the 6th of December, 1881. The obituary does not mention his marriage but we can presume that he and Elizabet Burnaby met when he was at St Moritz and married there or, possibly, during that short trip back to England. Why he then decided to go to Colorado is slightly mysterious though it is true that the climate there would have been of great benefit to him. Nor do we find out much about the other people on the tombstone who appear to be relatives. Could they have been family members who had settled there earlier? A while ago Tory Historian blogged on the awesomeness of some Victorians, specifically, Captain Frederick Burnaby and his wife, then widow, Elizabeth Burnaby (subsequently Elizabeth Main and Elizabeth Le Blond, with an entry in the Dictionary of National Biography under the last name). For various reasons TH looked up Mrs Le Blond again and found out some interesting things about her second husband, John Frederic Main (1854 - 1892). He was according to the DNB professor of engineering at the University College, Bristol, which eventually became the University of Bristol and at the Royal College of Science, which eventually merged into Imperial College London. According to this excerpt from the obituary published by ICE (Institution of Civil Engineering) Professor Main had been born in Jamaica where his father was a civil engineer but was brought to England as a young child and went to a grammar school in Southsea, going to study Mathematics at Trinity College, Cambridge where he seems to have done well. 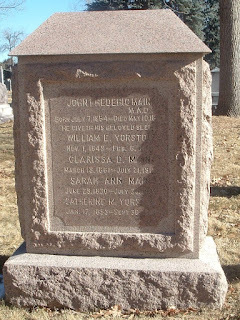 In 1886 he married Elizabeth Burnaby, née Hawkins-Whitshed and in the following year abandoned his academic career to move to Denver, Colorado in order to become an investment banker, which adds an element of unpredictability to his biography, yet the death in 1892 is firmly fixed in Denver. However, researching further TH found a picture, which is barely decipherable of Professor Main's tombstone with other names on it of people clearly related to him. Could other members of his family have gone to Colorado from Jamaica? 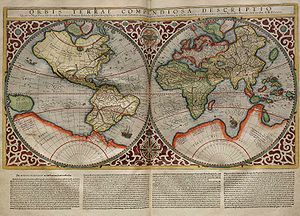 created (in 1569) a world map upon which navigators, for the first time, could draw a straight line and actually travel along it without the curvature of the earth messing up their co-ordinates. A man whose influence on our lives is, quite literally, incalculable. 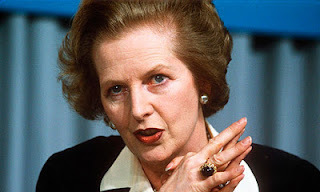 How can this blog not wish a happy birthday to Margaret Thatcher, according to many the greatest twentieth century Prime Minister? Really, Tory Historian ought to start a series on insults or, rather, two series: one of literary insults and one of political ones. Whenever people moan and wring their hands about modern life becoming crude and modern politics so rude and unpleasant, TH snorts. Have you had a look at eighteenth century cartoons and political pamphlets, asks TH. Or nineteenth century ones, at that. The idea that a world in which MPs can complain because their opponents have displayed less than overwhelming courtesy to them, in which audiences at political meetings are not allowed even the slightest heckle, in which people are arrested and imprisoned for "insulting" and "upsetting" comments on social media is a particularly outspoken or, heaven forfend, rude one is laughable. Anyway, on to literary insults, which are, TH is happy to say, alive and well though not, perhaps, as interesting as those of the past. 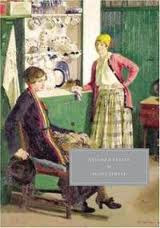 Reading about the literary magazine of the early twentieth century, The New Age and its extraordinary editor, A. R. Orage as well as the highly talented contributors in a period that can, with some justification, be called journalism's greatest, TH came across the name of Beatrice Hastings. This lady, whose real name was Emily Alice Haigh and who was born in South Africa (according to the DNB but in Hackney according to Wikipedia) but lived her life in England and France, ought to be better known as she seems to have been an important part of literary and artistic life of that period in the two countries. Above all, she contributed a great many articles and ideas to The New Age under various pseudonyms, introduced in that magazine a number of important modernist writers, including Ezra Pound (though, to be fair, she seems to be the only person to say so) championed various causes, some less popular than others (she seems to have been one of the first to get excited about Lenin and his mob while The New Age was definitely on the other side), lived with Orage and later on with Modigliani, who painted her on numerous occasions and had an affair with Katherine Mansfield, which must have ended rather badly. 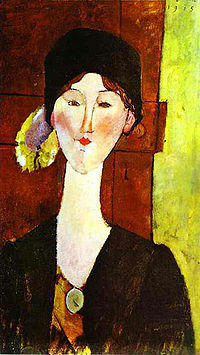 In 1936 her literary career and reputation appeared to be on the wane and she attributed it to the Machiavellian machinations of Orage (by then dead) and the lack of gratitude displayed by various literary luminaries who had preferred to be on the right side of a man whom she compares to various dictators and who, in her opinion, had no creative or editorial talent at all. She poured out her venom in a pamphlet published by the Blue Moon Press of Red Lion Street and entitled The Old "New Age": Orage - and Others. TH is quite envious of that list of insulting epithets. How long did it take to put them together, one wonders. 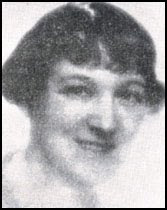 Not content with annihilating Orage, Beatrice Hastings (to give her the right pen name) went on to do the same to Richard Aldington, best known as an imagist poet but also a novelist and literary critic. In 1933 he published a novel, entitled All Men Are Enemies: A Romance. 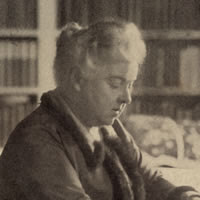 Beatrice Hastings maintained that he had appropriated and used a title she had given in 1909 to a polemical publication: Woman's Worst Enemy - Woman. Addington exploits this title [Woman's Worst Enemy - Woman] in one of his books, without naming me. That this silk-fingered, scratch-nailed, sob-stuffing, eaten-brained curate of the feminine soul is accepted by women as a champion shows what enemies to themselves they still are. I never knew until this month of Jan. 1936, that Katherine Mansfield came back on the paper [The New Age]. The sketches published in 1917 look like the incredibly vulgar stuff I rejected. .... That she must have fancied she was triumphing over me, although I never knew that she was offered to the readers in place of "Alice Morning" [another of Beatrice Hastings's pen-names] is not completely amusing; and it rather gladdens me to reflect that when Francis Carco's terrible study, Les Innocents, showed her that she was detected and classified, she had to reflect that poor Sophie Brzeska .... had been Fate's innocent instrument of revenge. After that book, Katherine began to play saint, prate about God and, as Olive Moore says, "twittered" her way out of a world she had fouled wherever she went. Ah those literary and artistic rows of yesteryear! burned her correspondence, stuffed a towel under the door, cradled her little white mouse in her hand and turned the gas on. She had left her possessions to her "devoted friend" Doris Lillian Green and her Literary Estate to the British Museum "or the first public library that puts in a claim". Oh but those letters! What joy it would be to read them. Surely, a woman who can write such elegant literary insults deserves renewed interest. The next Conservative History Group event will take place on October 30 at 6.30 pm in Committee Room 2 in the House of Lords. That means having to go through St Stephen's Entrance so it may be as well to be prepared for a long queue. Dr Caroline Shenton, Director of the Parliamentary Archives, will be talking about her book The Day Parliament Burned Down an account of the great fire of the building in October 1834, so memorably recorded by J. M. W. Turner, who set up his easel across the river and sketched furiously while firemen fought the blaze. This is the first book to give a full account of the event. If you want to reserve a place at the event, click here and if you want to pre-order a copy of the book, in order to ask Dr Shenton to sign it on the night (Parliamentary rules say that they cannot be sold during the event) you can do so either through Amazon here or by e-mailing Dr Shenton directly on cshenton_AT_hotmail.co.uk. 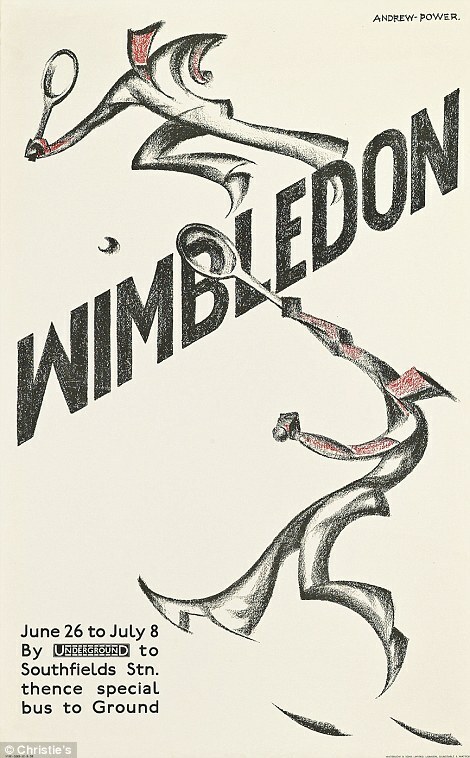 A fascinating sale of duplicates (as I understand it) of some of the best, most talented and ... that terrible word .... iconic posters commissioned and used by London Underground and London Transport in the past will be held on October 4 at Christie's in South Kensington and the pre-sale exhibition will be held there from September 28 to October 3. A number of the best graphic artists were given their first outlet or made successful by the remarkable policy of commissioning the best. The three examples are respectively by George Sheringham, Andrew Power and Annie Gertrude Fletcher. 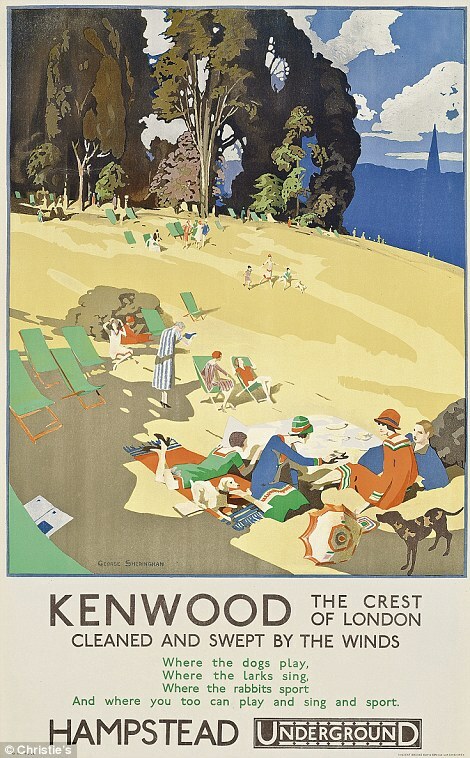 Curiously, the Daily Mail article gives no examples of Edward McKnight Kauffer, possibly the best of the artists whose career was made by London Transport. Here is one example. We have just had Open House week-end in London and Tory Historian tried to visit a new place or two. Only one new place was managed: the fascinating and gorgeous Apothecaries' Hall. Time was short so the second visit was to the Guildhall and the Roman Amphitheatre beneath the Art Gallery, both thoroughly recommended. Naturally, there was a good deal of explanation of what the amphitheatre was used for and how it fitted in with Roman British life. Interestingly, the actual amphitheatres across the Roman empire were built out of public funds but the entertainment in them (if you can call events that involved the slaughter of hundreds of people and animals entertainment) was provided by rich nobles or even by the Emperor, especially in Rome itself. This was a way of bribing the populace, bread and circuses (panem et circenses) being a great Roman invention, much in use to this day. Tory Historian, naturally, thought of the bread and circuses that were provided this summer by way of the Olympic and Paralympic Games, both descendants of certain ancient entertainments. There is, however, a great difference: they are still bribes to keep the populace happy but these days the bribes are paid for by the populace. 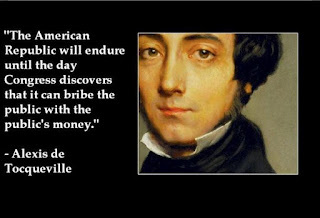 They bribe us, thought TH, with our own money. In the case of those Games with our children's money as well. Browsing through the internet Tory Historian came across this site: British History Online and found the London page of especial interest. The links read to a large selection of primary sources. 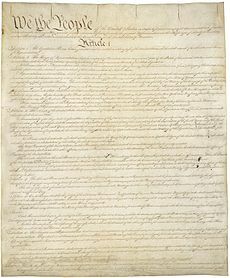 The US Constitution was adopted by the Constitutional Convention in Philadelphia, Pennsylvania on September 17, 1787 and ratified by Conventions of eleven States. The first ten Amendments, otherwise known as the Bill of Rights (shades of the earlier English Bills) were adopted in 1791. There was a time when every school boy and girl knew the name of the first railway casualty. 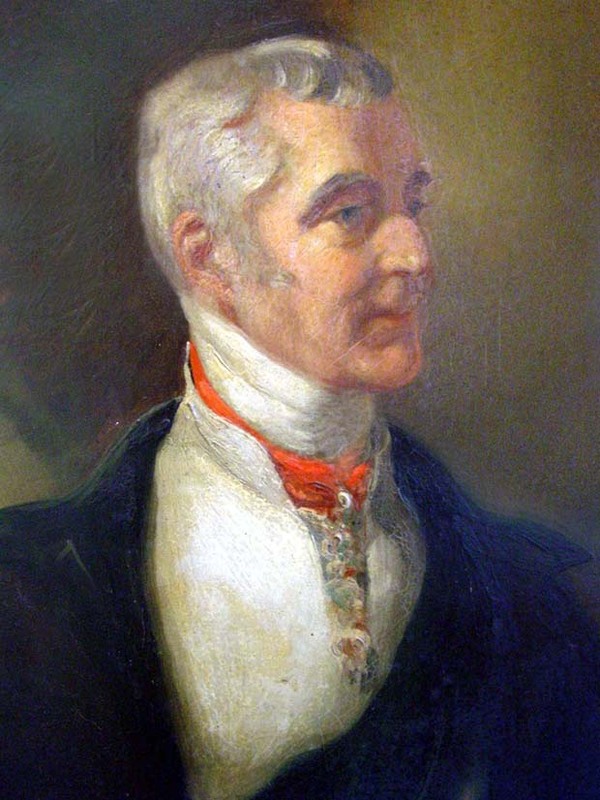 William Huskisson, MP for Liverpool and former Cabinet Minister was attending the opening of the Manchester-Liverpool railway on September 15, 1830. He got out of his carriage and went to another one to speak to the Duke of Wellington (yes, yes, him again). As he climbed in he slipped and fell into the path of the Rocket, Stephenson's great engine, which ran over his leg and caused severe bleeding of which he died though he was immediately taken to a hospital by Stephenson himself. That is all one mostly knew about him though Huskisson did have quite a distinguished career. 160 years ago, on September 14, 1852 died the 1st Duke of Wellington, one of this country's great military commanders and no mean politician. In fact, he is one of the few exceptions to the rule that military commanders do not make good politicians even though as they rise to the top they have to play at politics more and more. His was the last heraldic state funeral held in Britain. For a number of reasons, not unconnected with recent events, Tory Historian decided to look up the comment, ascribed to General Sir Charles Napier in William Napier's History of Sir Charles Napier's Administration of Scinde, published in 1851, on the subject of sati or suttee or, in plain words, the habit of burning of widows on their husbands' funeral pyre (prohibited by Sikhism, incidentally). This burning of widows is your custom; prepare the funeral pile. But my nation has also a custom. When men burn women alive we hang them, and confiscate all their property. My carpenters shall therefore erect gibbets on which to hang all concerned when the widow is consumed. Let us all act according to national customs. It seems that no suttee took place then or afterwards while the General remained in charge. There is a strong possibility (though at present no more than that) that the archaeological dig in Leicester has, apart from making all sorts of other interesting discoveries, may have uncovered the body or, rather the skeleton of Richard III. We have exhumed one fully articulated skeleton and one set of disarticulated human remains. The disarticulated set of human remains was found in what is believed to be the Presbytery of the lost Church of the Grey Friars. These remains are female, and thus certainly not Richard III. The articulated skeleton was found in what is believed to be the Choir of the church. The articulated skeleton found in the Choir is of significant interest to us. Dr Jo Appleby has carried out a preliminary examination of the remains. The skeleton found in the Choir area has spinal abnormalities. We believe the individual would have had severe scoliosis – which is a form of spinal curvature. This would have made his right shoulder appear visibly higher than the left shoulder. This is consistent with contemporary accounts of Richard’s appearance. The skeleton does not have kyphosis – a different form of spinal curvature. The skeleton was not a hunchback. There appears to be no evidence of a “withered arm”. Before we all start rejoicing in our mighty victory over Tudor propagandists we need to point out that the skeleton will be subjected to rigorous scientific, including DNA tests. Apparently, the two Henries managed not to eliminate all those related to the York family and there are descendants of Richard's mother's family around. Results are expected in 12 weeks or so. I have been reading a book by S. K.Romanyuk, called Russian London (Русский Лондон), the only guide to the London various Russians lived in. It goes through various themes: first contacts, the royals, the church, emigrés, ambassadors and so on. Mr Romanyuk is the complete Anglophile. To him there can be nothing wrong with Britain and if there is a dispute he takes the British side, even attempting to exonerate the British authorities in the somewhat dubious story of Nicholas II and his family to whom Britain apparently refused to give shelter. A muddled story, as Mr Romanyuk rightly says and in his opinion if anyone needs to be blamed it had better be David Lloyd George. 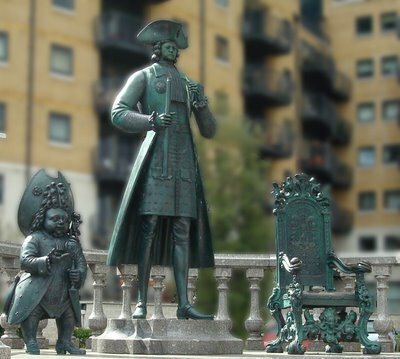 Naturally there are a few pages about Peter the Great and his stay in London, particularly in Deptford but in other parts as well. Bearing in mind recent comments about London being put on the map in the last couple of weeks, I was interested to read that "at the time [Peter's arrival in 1698] London was Europe's largest city: with a population of 675,000 at the beginning of the eighteenth century". After some description of the devastation caused by the Great Fire and of the rebuilding that was going on, Mr Romanyuk adds that London was also a great sea port. In the year of Peter's arrival 13,444 ships had visited it. Tory Historian remains convinced that this is the most exciting news story of the last few weeks: archaeologists are close to finding the body of Richard III in Leicester, where he was buried after the Battle of Bosworth Field. The dig to recover the body of the king, who was defeated at the Battle of Bosworth by Henry Tudor in 1485, has already unearthed the long-lost Franciscan Friary where he was buried. The church, which is also called Grey Friars, was known to be where Richard III was buried but its exact whereabouts had become lost over time. Now archaeologists say the dig will move into the third week and say they are getting ‘tantalisingly close’ in their search for the body. The article gives a more detailed description of the finds already made, all of them of great importance to anyone who cares about England's (and Britain's) history, though why should an article, published on September 10 be giving information about an open day on the site that took place on September 8, is something only sub-editors of the Daily Telegraph can elucidate. The BBC, one may add, had it right: they reported that 1,500 people queued to see the exhibits and part of the site. As a matter of fact, quite a few detective novels hide interesting ideas, particularly political ones with those that display them for all to see being the least readable ones. 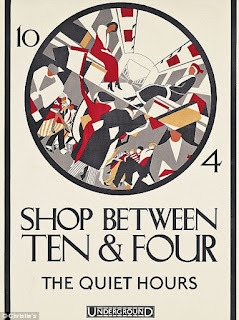 I was alerted to a little known writer of the thirties, R. C. Woodthorpe, by Martin Edwards, who is considerably better known as a writer and a critic. 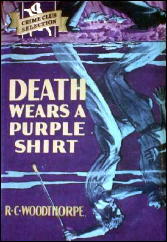 The particular book he mentioned was Silence of a Purple Shirt or, as it is known in the United States, Death Wears a Purple Shirt. Dorothy L. Sayers was very complimentary about Woodthorpe's books and rightly so: they are highly amusing and the writing is sly, witty and polished. The plot of this particular one is, on the other hand, a little lame. The beginning is excellent in a Buchanesque way. Thee events coincide: the Leader (always referred to with a capital L) of a rather noxious movement, Keep Britain Free, whose members sport purple shirts, has been arrested for no apparent crime; a young boy has disappeared with his nurse and, almost certainly, it is a case of kidnapping; and an important member of the Purple Shirts has been murdered with another, less important member, being arrested on serious circumstantial evidence. The latter happens to be the estranged husband of the niece of Nicholas Slade, a writer whose satirical output is considerably less well known than his first, somewhat romantic novel, The Gods Are Just. Nicholas Slade and his confidential clerk, Alfred Hicks, start an investigation into the murder as they both assume that the nephew by marriage could not have committed the crime. Thereafter the plot disintegrates despite some very funny descriptions and episodes as well as a few barbed comments about the literary world. The solution to the crime(s) is neat though not altogether surprising but the holes in the plot are too big to overlook. Several important characters's behaviour remains unexplained; the reason for so much of the action in the past and the present taking place in a strange but delightful hotel on an island is not given; hints about certain people being possibly connected to the Purple Shirts are never followed up. Most frustratingly we never find out how it is that a ridiculous organization that is full of self-important and childish characters, has no money and cannot impose discipline on its members despite the sub-military behaviour manages to build up a superb intelligence service. Whatever the Home Secretary does, wherever he goes, whatever instructions he gives, the Purple Shirt leaders know within the hour. Is there somebody close to the HS, or A Certain Person, as he is variously referred to, who is a member of the organization? If so, we never learn the truth. There are, however, some interesting aspects to the novel. Nicholas Slade goes to the headquarters of the Keep Britain Free movement in Hampstead and finds that he dislikes them more than he had done before. Though the movement is a clear reference to Oswald Mosley's British Union of Fascists (founded in 1932 and the book came out in 1934) the political ideology that is propounded at their headquarters are similar to those one would have heard in various Communist organizations of the period. (Well, it's not like there is that much difference between national and international socialism.) The Leader's comment about writers becoming as important as dustmen, no more but no less so, in the new order remind one of Lenin rather than Mussolini or Hitler and the notion of the corporate state being of far greater importance than the individual is central to all those isms and ologies. Slade, feeling that the more he heard of the Purple Shirt programme the less he liked it, sat on. He sat patiently, and gloomily envisaged the promised new State, which would deprive him of his cherished Times, employ him in writing propaganda, and, if he jibbed, or incautiously made a joke at its expense, hand him over to a soft of drumhead court-martial and have him put against a wall and shot. It was a dismal prospect. Slade was not over much in love with the established order of things. Indeed, he had satirized it in many of his books. But there you were ... That was exactly where the shoe pinched. Slade could satirize the existing State, cartoonists could caricature it, the writers of funny columns could lampoon it ... and no one seemed to mind. Slade and Woodthorpe can see the difference in the basics but, for all of that, can also see that not everything is rosy in the garden. 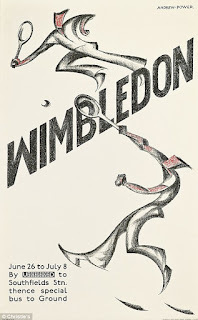 After all, the plot is triggered off by a stupid and, probably, illegal order by the Home Secretary, not a man to be admired, to arrest the Purple Shirts' Leader, who bears the unlikely name of Duke Benedict (this was four years before P. G. Wodehouse's glorious creation, Roderick Spode) for nothing at all. Eventually, after several months in prison, he is charged with making seditious speeches. The only immediate outcome is that the Purple Shirts suddenly become quite popular as they are seen to be victims of the Establishment. Slade is shocked but nor surprised to find that the political establishment that includes the Home Secretary and Scotland Yard is prepared to pervert the course of justice and to let an innocent man go to the gallows in order to protect the real killer's identity. In the end, the innocent man is released but the real killer goes unpunished except, possibly, in his own conscience. This is not a novel that supports the powers that be or the existing order of things. What it does support is the idea of how they ought to be. It is not great literature that tells us how people lived at any time, it is the secondary or what is rather disdainfully referred to as genre version of it. Detective stories are, apart from everything else, a mine of useful information about the past. Then there are non-fiction books devoted to themes such as gardening or, most of all, cookery. Browsing through the shelves of a second-hand bookshop I came across a copy of Agnes Jekyll's Kitchen Essays as reprinted by Persephone Books. This is a fascinating collection of essays about food and cooking, originally published for a year in The Times and collected, in response to popular demand, as a volume in 1922. Intrigued by the essays themselves and the name of the author, I proceeded to search for information. Mr Google yielded a certain amount, mostly to do with the book in my hands, which had already informed me that Agnes Jekyll was "the daughter of the Pre-Raphaelite patron William Graham", married to soldier-diplomat Herbert Jekyll and "the guests at her first dinner party [the subject of one of her essays] were Browning, Burne-Jones and Ruskin". She was also Gertrude Jekyll's sister-in-law and the biographer of that formidable lady described Agnes as "an artist-housekeeper". All very interesting but that does not, for example, explain why Lady Jekyll, as she became, was also Dame Agnes Jekyll. Even the publishers say vaguely that she was " created DBE for her involvement in numerous good causes". I abandoned Mr Google and the internet and went back in true conservative fashion to the printed word, the Dictionary of National Biography, to be quite precise. Its entry on Agnes Jekyll was, naturally enough, shorter than that on her sister-in-law but full of information. To start with, dates. Dame Agnes Jekyll was born in Ayrshire in 1861 and died at her home near Godalming in 1937. Her father was a Liberal MP as well as an art collector and her husband, Sir Herbert Jekyll was in the Royal Engineers with an extensive political and diplomatic career on the practical side. Among other assignments he was sent to inspect fortifications in Ceylon and Singapore and his wife travelled with him each time, whether to Paris, Dublin, Gibraltar or further afield. They settled near Godalming where Lady Jekyll became a well known political and artistic hostess with what was considered to be an exceptional aptitude for presentation of food and wine as well as general housekeeping. But that was not all. The mystery of her Damehood is explained. 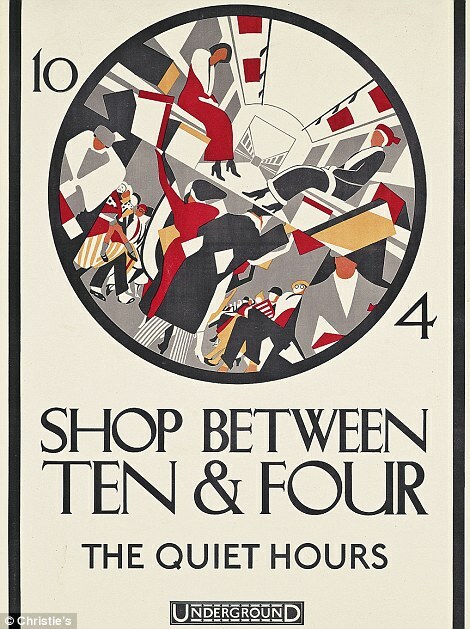 She was given a DBE in the New Year Honours of 1918 for her war work, which consisted partly of the chairmanship of St John of Jerusalem's warehouse for hospital supplies in Clerkenwell. Apparently she prided herself on answering every demand for supplies promptly. She was also one of the first volunteers to provide ambulance service when the air raids on London started. Her public career neither began nor ended with the First World War. From 1884 to her death she was a member of the East End maternity hospital committee. For ten years she was chairwoman of the visiting committee of the Borstal Institution for Girls at Aylesbury and, according to the DNB, served frequently on juries if women were in the dock. I find this hard to understand as I do not think one can choose either the frequency of one's jury service or the cases on which one sits. From 1925 she was a magistrate on the Guildford Bench and sat on the panel of children's courts. In response to her obituary, published in The Times on January 29, 1937, a letter described her as "exceptionally able amateur" and added that she would have been a great public servant had she been a man. That, one must admit, is a curious comment and shows how early the notion that public servants are only those who make a professional and paid career out of it. Amateur Dame Agnes may have been but she was a great public servant, all the greater for not getting any money for her various activities. In all that period she managed to run a large and hospitable home and bring up three children. Of course, there were servants of different variety. The essays show an interesting society in which servants were still around but there were far fewer of them and they were becoming more noticeable as crucial members of the household. The lady of the house, in Agnes Jekyll's estimation, has to run matters herself, be aware of the food that is prepared, think ahead about provisions and inject new ideas and menus. It is up to the cook to deal with the practical matters though there is one delightful essay with some helpful recipes, entitled "In the Cook's Absence". Other essays deal with new names and ideas for old recipes, favourite or otherwise (Gigot de six heures being somewhat more complicated but also more attractive than roast mutton with caper sauce), tea time dainties, dinners before theatre and suppers after, cooking for bachelors and for those who have found themselves considerably poorer after the war, picnics in winter as the average English hostelry was as unspeakable then as it remained for many decades afterwards, Christmas and Easter goodies, Italian food, cooking for the too fat or the too thin, and breakfast food. What emerges is a clear picture of a hastily changing society or, maybe, a society that tried to return to pre-war norms and failed to do so, not least because the people themselves no longer liked those. In a number of essays the author talks about the pleasure of serving food in bright and heat-preserving pottery dishes (marmites for soup turn up repeatedly in the recipes) rather than on silver that, presumably, made every dish, regardless of what it was intended to be, tepid and somewhat tasteless. Finding bright pottery for the table and the kitchen, patterned table cloths and napkins was no longer just for bohemians but for the respectable middle classes as well. At the same time the recipes are difficult: they tend to be far too complicated, made possible by the continuing presence of servants in the kitchen, aspic is still much used and the number of dishes that require the use of a salamander before serving is high. I may consider making one or two of the dishes. On the other hand, I know I shall re-read the book at some future date and enjoy the style and the descriptions, even the mild witticisms as much as I did the first time round. It comes from his essay The History of Freedom in Antiquity. Today is the anniversary of the Battle of Bosworth Field that brought to end the reign of the Plantagenets and introduced a completely new dynasty which led to other dynasties though none of it can be seen as entirely legitimate. History Today has reprinted an article from 1985 about the actual battle and the various problems that surround it. In fact, as far as TH can make out, next to nothing is known about it. What seems rather extraordinary is that the author of the article should so easily accept the Tudor myth of Richard III, the relentless tyrant and usurper.Surely, Polydore Virgil's account, written many years later and under the reign of Henry VII who was not known for his tolerance of people that doubted his right to the throne, cannot be taken as gospel truth and neither can the account of the supposed hunchback (not shown in the portrait that is a copy of one made in his life time) and monster given us by Sir Thomas More. Here are a couple of links to previous postings on the subject: a report on a trip to the fifteenth century, courtesy of the RSC and on Shakespeare's handling of some thorny issues and the story of a trip to Leicester which mingles German expressionism with that city's celebration of the man their predecessors saw as the rightful king. 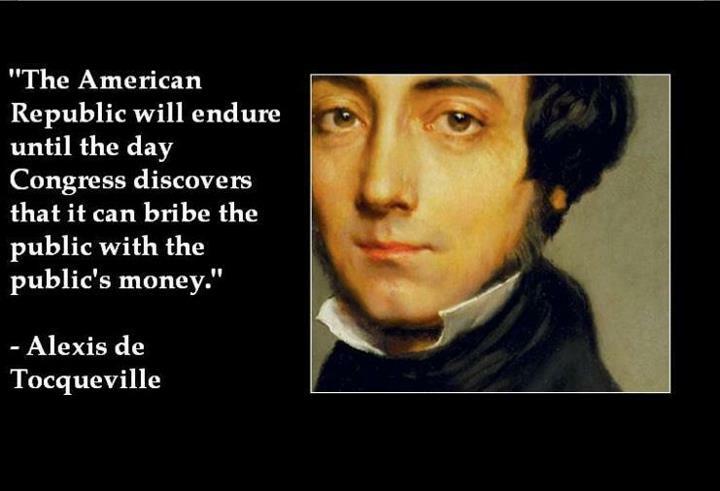 This picture of Alexis de Tocqueville, one of the truly great political writers of modern history, was found on a Facebook site, entitled Federalist Papers. It sums what is wrong with a great deal of modern politics and predicts the failure of liberal constitutionalism in its ability to deal with mass democracy. Why do people like detective stories? 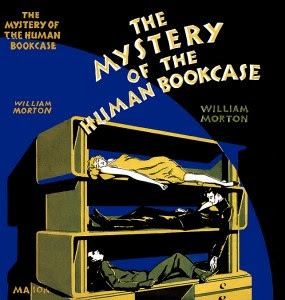 Without going into the arguments about detective stories being a peculiarly conservative genre, I should just like to quote something I found in a novel by William Morton alias William Blair Morton Ferguson, a man of may talents. In fact, if ever I am called upon to name a true denizen of Grub Street, it would be him, and that is a form of praise, ladies and gentlemen. Here are his achievements in the film industry and here is a partial list of his novels. The novel I have in mind is The Mystery of the Human Bookcase and it is not, pace its title, a horror story in the Poe mould but a very straightforward detective yarn with two excellent characters: Kirker Cameron, New York Commissioner of Police who, unusually, is not there for political reasons but because he is good at his job, having been trained at the Paris Sûreté and worked with Scotland Yard and Jerome Bland, the District Attorney who is not as smart or imaginative as Cameron but is completely honest and contemptuous of politics. Man was so made that he must torment himself with mysteries and enigmas and thus the detective story always had been popular. It was the most ancient form of self-torment, and, as Bland might remember, the first three ever written could be found in the Aeneid, Herodotus and the Jewish Apocrypha. The art of self-tormenting is an ancient one, with a long and honourable tradition. Man, not satisfied with the mental confusion and unhappiness to be derived from contemplating the cruelties of life and the riddle of the universe, delights to occupy his leisure moments with puzzles and bugaboos. Both the detective-story proper and the pure tale of horror are very ancient in origin. All native folk-lore has its ghost tales, while the first four detective stories in this book hail respectively from the Jewish Aporcypha, Herodotus, and the Aeneid. They are: The History of Bel and The History of Susanna from the Apocryphal Scriptures, The Story of Hercules and Cacus from The Aeneid, Book VIII and The Story of Rhampsinitus' Treasure-House from Herodotus Book II. An extraordinary amount of excitement and patriotic fervour was erupting around me as I was reading Peter Whittle’s Being British – What’s Wrong With It?. Team GB (an expression that would have been guaranteed to bring nausea to any right-thinking or, for that matter, left-thinking of the old school person before the vocabulary of Cool Britannia permeated public discourse) was winning medals. All doubts about the pharaonic and overweening arrogance that created the mega-farce of the London Olympics for which we shall be paying for decades to come have been dispelled, at least momentarily. Britain was winning medals and nothing else could possibly matter. One person on another forum jubilantly wrote about the first couple of gold medals “because we are GREAT Britain” as if that was the definition of this country’s greatness. It occurred to me, not for the first time, what a peculiar position sport occupies in our political and social consciousness. As far as sport is concerned all the virtues, so eloquently extolled by Peter Whittle in his book, that have been abandoned or made to seem embarrassing, become acceptable. People are allowed to wave flags and cheer their country (though some problems arise with people who appear to think that certain sportsmen and women are Scottish if they win and British if they lose). Even the BBC joins in. There is another difference: for a short time the people who are presented as heroes and role models are not vacuous celebrities but people who have, necessarily, kept the old virtues of hard work, self-discipline and aspiration. This will not last. Soon we shall go back to endless gossip about celebrities, including loutish footballers, and the accepted “virtues” of instant gratification and celebrity for no apparent reason. Of course, Olympic medal winners are not particularly useful as role models in another way: very few people can achieve those standards. If we do want children and young people to aspire to achievement we need to present them with models they can emulate with some hope of success. The cult of celebrity is not particularly new as a swift reading of past publications can tell us but as Peter Whittle points out, its overwhelming importance that excludes and dismisses the more traditional virtues that allowed people to achieve things in life is something new and immensely harmful to several generations of children in this country who find themselves unable to compete either with their coaevals from other countries or from the private educational sector. Other problems raised in Being British – What’s Wrong With It? are the deliberate destruction by the self-hating political elite of pride in one’s country and one’s culture, the whole idea of multiculturalism related to it, mass immigration that is both cause and effect of it, the dismissal of working class virtues, their destruction through all the above and the overwhelming and rapacious welfare state, and, above all, complete ignorance of the country’s history. Of these I personally consider the last to be the most important. (Well, I would, wouldn’t I?) Not knowing or understanding the past means an inability to understand the present or to imagine a future. Once or twice I found myself vigorously shaking my head in disagreement. For instance, history tells one that riots were a reasonably frequent part of English life till late in the nineteenth century as was criminality. All too often when Britishness is invoked the reference is to a relatively short period of around 100 – 120 years from around 1820 to the beginning of the Second World War, when the state took over the running of people’s lives, never properly letting go again and stifling all the many very good qualities that those people possessed. Nor am I impressed by any sentimental feeling towards the 1950s. A swift look at the films and books of the period will show a decade of greyness and depression despite the political hype (for how else would one describe Harold Macmillan’s famous comment about never having so good and one of net emigration. People did not simply talk about wishing to leave as they appear to do now according to the author of Being British but actually did so in large numbers. Nevertheless, the main argument of the books is entirely accurate. Britain has created many good things in the country and in the world though often those who did the creating were the ones who found many of the solid British virtues tiresome and stifling, a curious contradiction noted by George Orwell many years ago, but those achievements have been deliberately denied and belittled by a weird self-hating elite. The people of the country have been deprived of their history, of their pride and self-respect. Given that this is a country and a culture that has been admired and emulated across the world (though not the NHS) it is strange and disturbing to see its denigration at home. However, Peter Whittle (who is, incidentally, a good friend as well as the Director of the New Culture Forum) sees many causes for hope. The future might be brighter than the immediate past. People seem to be refusing to knuckle under: they remain stubbornly proud of their country and its achievements, they want to learn about its history and they are waking up to the importance and necessity of all that has been taken away from them. Let me recommend this book to anyone who is perturbed by what has been going on and would like to see the hopeful signs to develop into something more lasting. .... Phyllis Dorothy James, a.k.a. 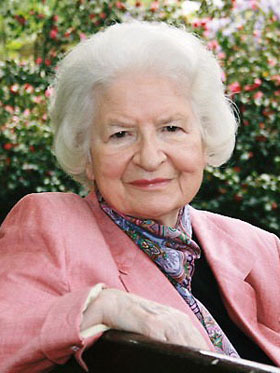 P. D. James, the pre-eminent detective story writer of the day, a. k. a. Baroness James, who sits on the Conservative benches in the House of Lords. Many happy returns. It is well known to all Wodehouse aficionados, of whom Tory Historian is one, that Bertie Wooster once wrote a column in his Aunt Dahlia's weekly journal, Milady's Boudoir, entitled "What the Well-Dressed Man is Wearing". In the same way this article could be called "What the Well-Read MP is Reading". In fact, it is called rather prosaically Keith Simpson's Summer Reading List and is a long list of books that Mr Simpson, Chairman of the Conservative History Group, thinks MPs might enjoy reading on their summer hols. Few real surprises. As Mr Simpson says, there is a natural bias towards politics, history and conflict with a few lighter touches at the end, though at least two of these are books written by wives and daughters of politicians. The biography of W. T. Stead will be on TH's reading list, despite the mediocre reviews as will, possibly the books about China in the thirties. The history of the Intelligence Division of the War Office, on the other hand, sounds fascinating. Here are two obituaries: in the Daily Telegraph whose columnist he was for so many years and in History Today. 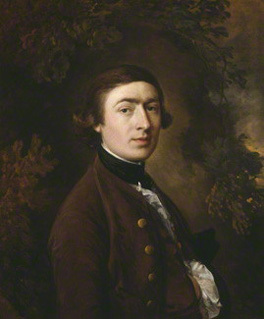 Thomas Gainsborough, one of the most English of artists and a man who helped to create an image of England and the English died on August 2, 1788. 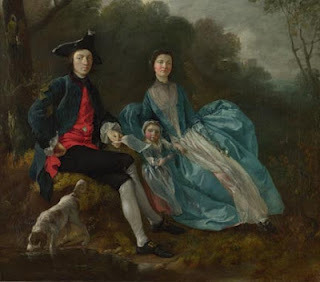 Here are two self-portraits, one, in the National Portrait Gallery, a straightforward one and the other, in the National Gallery, of the artist and his family. 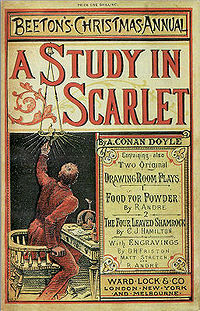 Repeatedly I have written that the detective story is an essentially conservative genre, not because it necessarily upholds the social or political mores of the day (many, many even of the Golden Age stories do no such thing) but because it relies on a certain moral assumption and that is the wrongness of taking another life. In other words, it assumes that individuals matter, that the personal is of greater importance than the collective and in a century when millions of lives could be disposed of for political ideology, this assumption mattered. Every now and then, however, one comes across the more left-wing point of view. This is not necessarily voiced by left-wing writers. 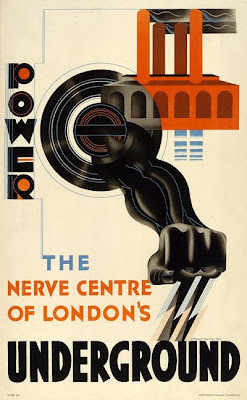 Nicholas Blake, in reality C. Day Lewis, may have been left-wing and may have quoted advanced poetry in his books but his attitude to murder was no different from that of Dorothy L. Sayers, who also quoted poetry but was right-wing in politics. There are some oddities. Timothy Fuller, for instance, in the one novel I have read, Reunion with Murder, calmly produces a plot in which a man is deliberately murdered because he is not terribly nice, his wife is unhappy being married to him (no particular reason), he is a Republican and dislikes FDR. And anyway, decides, Jupiter Jones who is the detective of the series, a terrible war is coming and what's a dead body or two extra. That is, obviously, contrary to all the basic assumptions that underlie the detective story. If a violent death does not matter all that much, if people are justified in killing somebody simply because his politics is not the accepted liberal one and his wife is not terribly happy, then what exactly are we talking about? Let us now talk about a novel by the socialist theoreticians G. D. H. and Margaret Cole. Almost all their detective stories are credited to both of them but there is some doubt on the subject. 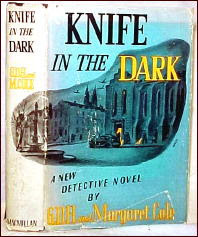 Curtis Evans, an expert on the subject, has tried to analyze which one of them wrote which novel and came to the conclusion that the collection of short stories Mrs Warrender's Profession and the one novel about that lady, mother of a private detective, Knife in the Dark, were written by Margaret on her own. On the whole, I agree with him. The style is lighter and not particularly didactic, which was usually her husband's. The plot takes place in late November 1941 in the mythical university town of Stamford, an amalgam of Oxford and Cambridge. The war is not much discussed except in terms of immediate discomfort. This is where a woman's touch becomes obvious. The town seems to have a good many refugees from occupied Europe and Germany as well as the usual bombed-out evacuees, who play no part. There is, however, a great deal of resentment of the foreign refugees, both in rather general and more specific terms. The latter revolves round food and accommodation. There is rationing and some shortages; the refugee women not only buy up food that is in short supply but are more skilful at bargaining than the middle class English ladies who, one assumes, did not shop themselves before the war and are not up to standing up to the tradesmen. I suspect Margaret Cole knew more about this than Douglas Cole. On the other hand, I do wonder whether any woman would really write about young men (in the plural) going off the rails to the point of trying to commit suicide because they had been "led on" by a highly attractive older woman. That strikes me as an essentially male assumption but I might be wrong. If you have not read Knife in the Dark and intend to do so, stop right here because I am going to discuss the plot and there will be spoilers. The victim is the young wife of a decent, hard-working don who is also greatly taken up by the problem of the refugees, something she resents with a passionate fury. Steve on Mystery*File describes Kitty Lake as a nymphomaniac but she is not. She does have one affair and she seems to enjoy herself flirting with young undergraduates and RAF cadets, stationed in the town, but it leads to nothing though some of the more impressionable ones go through agonies and attempt suicide. Other young men fall in love with her but it is made quite clear that she is really in love with her husband but for some reason he has built a wall between them - a somewhat sentimental and melodramatic idea that is never resolved because Kitty is murdered. What follows is a great deal of discussion and investigation by the police with a shockingly large number of people ready to blame the foreigners, all or some of them, because Kitty had been so nasty to and about them and because, as one undergraduate says, you can never quite tell with foreigners. Mrs Warrender is shocked by what she perceives as a pogrom mentality. She works out who the murderer is, though almost too late, and takes certain actions that ensure punishment being meted out to the right person. On the whole, her methods are not adequate. There is one clue, which is fairly laid out but it is not enough on its own. For the rest she relies on intuition or divine inspiration (the atheistic version, given the Coles' politics). Patricial Craig and Mary Cadogan do not think highly of the novel in The Lady Investigates, arguing that the motive for the murder is very weak and implausible. Gordon Lake gives in to a murderous impulse because he has taken exception to his wife's treatment of refugees. He is a humane person who resents the infliction of further cruelties on those who have suffered in occupied Europe. Kitty Lake is rude to the Polish Jewess Marta Zyboski, so Gordon Lake waits in the dark with a little Maori dagger and that is the end of Kitty. As a matter of fact, that is not what triggers off the murderous impulse but the discovery that Kitty Lake has been doing her best to get Marta Zyboski, an irritating woman who has realized that the British system may be benign but is not helpful, interned as enemy spy. She is also proved to be instrumental in getting Marta's sixteen year old son interned and nearly killed, something that shocks Mrs Warrender and even the Chief Constable who is convinced that foreign refugees are probably Nazi agents and generally no better than they should be. It is the knowledge that his wife has behaved in a way not dissimilar from the Nazis whom the country is fighting that provides that murderous impulse. While the refugees are not shown to be necessarily attractive or admirable, their treatment receives strong implicit criticism. What Craig and Cadogan seem unable to understand that to left-wing political ideologues like the Coles (or, probably, just one of them) the idea of murder for righteous, impersonal but, nevertheless, morally urgent reasons is perfectly understandable. This is not the thinking of the usual run of detective story writers but, in its insistence on moral absolutes, this is still a traditional example of the genre.